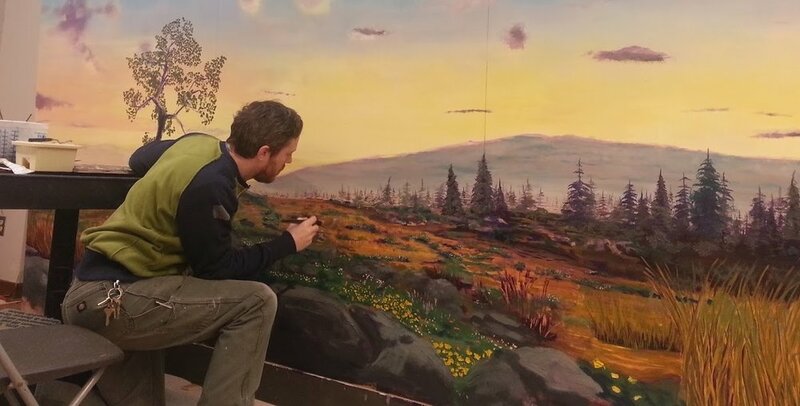 A family of Mountain Lions at the Rochester Museum and Science Center were lacking an environment and this mural provided it! Depicting a scene of the Adirondack Mountains in New York, this vista provided a usefull impression of the elements that mountain lions survive in. Depicting a Somalian landscape as a backdrop to a group of feasting hyenas, this mural was made using traditional habitat diorama techniques. The goal of this oil-painted mural was to showcase the harsh and dangerous environment that these scrappy hyena thrive in.